The rise of ad blocking has become one of the most disruptive conversations in digital marketing in the last few months. Brands and their local marketing partners will need to take steps to confront the new reality of display advertising. 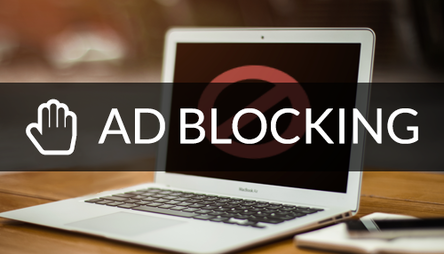 The hottest digital marketing topic of the month has been the rise of ad blocking. Apple delivered the ad blocking bombshell when it revealed that iOS 9 would make it much easier to install ad blockers (WSJ). Many doomsayers have claimed that this marks a major paradigm shift in digital advertising and the revenue that can be derived from it. Others have dismissed such handwringing, claiming that the effects will be minimal (Mobile Marketer). But what does ad blocking really mean for brands and the local marketing partners who deliver their messages every day? Here are the four local marketing impacts brands should expect from ad blocking. First, in the face of this new challenge local marketers will likely look to the brand for help. Brands are working constantly to address hot-button marketing issues like ad blocking (WSJ). Anticipate a rising demand by local marketers for brand creative and planning resources to offset ad blocking headwinds. Second, social media will become even more important. With strict brand controls and approvals, social channels like Facebook and Twitter will likely emerge as the digital winners on the local marketing stage. This could be coupled with an increase in social media-driven loyalty programs as local operators connect with their customers where they go naturally. Third, brands will see local marketers return to traditional channels such as print and direct mail. These channels have been proven to stand up well with key demographics, like millennials, even as digital ads often have not (Report). Getting access to high quality brand assets for these executions will be the key to standing out in local markets. Brands will need to develop means of provisioning these assets cheaply and scalably to achieve the greatest lift. Lastly, the one local marketing trend that will surely gain ground is personalization. Creating customized and geo-targeted offers that are actually desired by consumers will be a crucial way for local marketers to circumvent ad blockers. These customer-centric landing pages must be loaded with relevant local content and leverage brand recognition to reconnect with customers in the ways they want to be reached. Ad blocking, like so many recent developments in marketing, demands more relevant, polite and desirable advertising. By responding to the customer’s desire for a better kind of marketing, brands and their local marketing partners have a fantastic opportunity to turn this advertising nightmare into a golden opportunity.